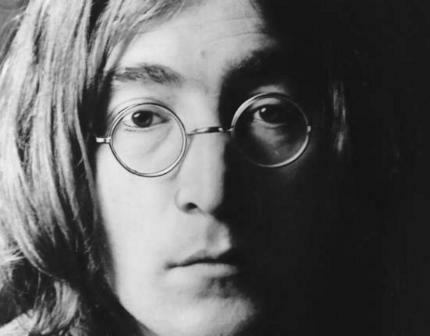 Imagine by John Lennon was one of the songs that was on constant rotation at my house when I was a child. At any time of day, any day of the week, you could hear John's fingers softly caress the piano, as his voice sang a simple song of peace and hope. As a child his words made me feel important. It was the first time I realized that music has the power to change the world. I think I was seven when I first remember listening to it. No song since has been simpler and more honest for me. However, clichéd or melodramatic it may have become, it is one of my favorite songs. I have been fiddling around a guitar version of the song for a few weeks, and Skyelar has been my sole audience. She seemed awfully excited the last time I was playing, so I set up the camera and let it roll as I strummed away. I think her excitement and curiosity reflect the same feelings I had as a child when listening to this song. I am sure she has no idea what the words mean, but as a dreamer from a family of dreamers we have her whole life to understand them together.